Happy Sunday! It’s been a great weekend so far! 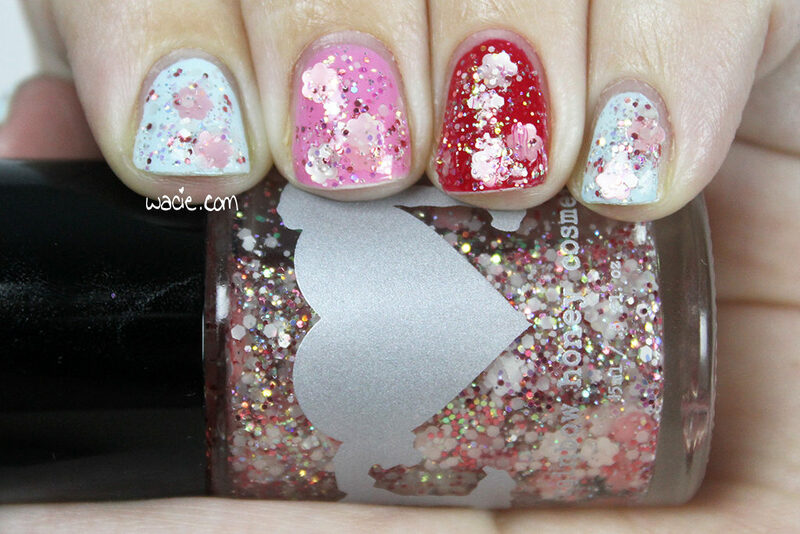 My swatch this Sunday is Sakura Matsuri from Rainbow Honey; I’m wearing one coat of Sakura Matsuri over Essie’s Mint Candy Apple (blue), Ciaté’s Candy Floss (pink), and OPI’s Dutch Tulips (red), as well as a coat of Seche Vite top coat. 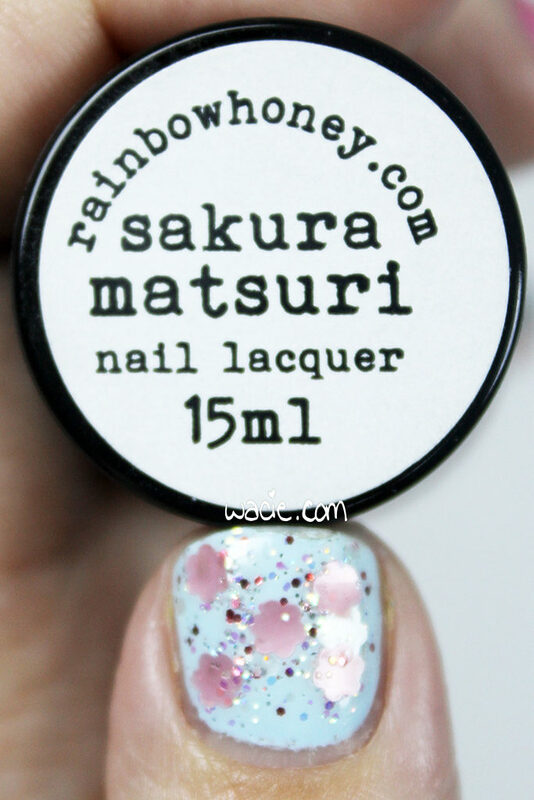 Sakura Matsuri is a clear-based glitter topper with pink matte, red metallic, iridescents in blue and green, and pink and white flower-shaped glitters. Application was okay; it was sometimes hard to get the flower glitters, and when I did, I’d get tons of them, as well as a lot of lacquer on the brush. It was difficult to apply to the smaller nails, and took quite some time to dry. The glitter still had a bit of texture when dried, so I used top coat. This is my first Rainbow Honey polish, and I think it’s adorable. I think it’s pretty unique as far as toppers go, since the flowers are the main focus of the concept, and quite a literal execution with the flower glitters. 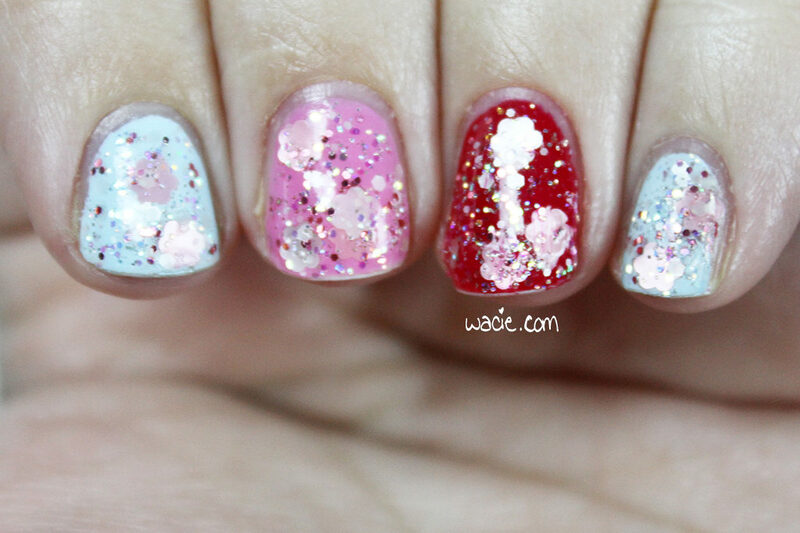 The polish is fairly monochromatic; the glitters all stay within very light shades of pink. 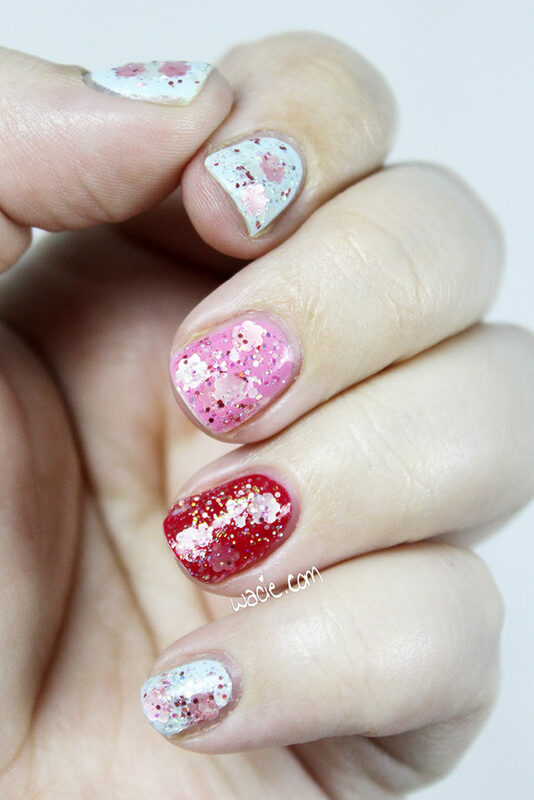 The red accent glitters add sparkle, and the iridescent glitters add dimension. 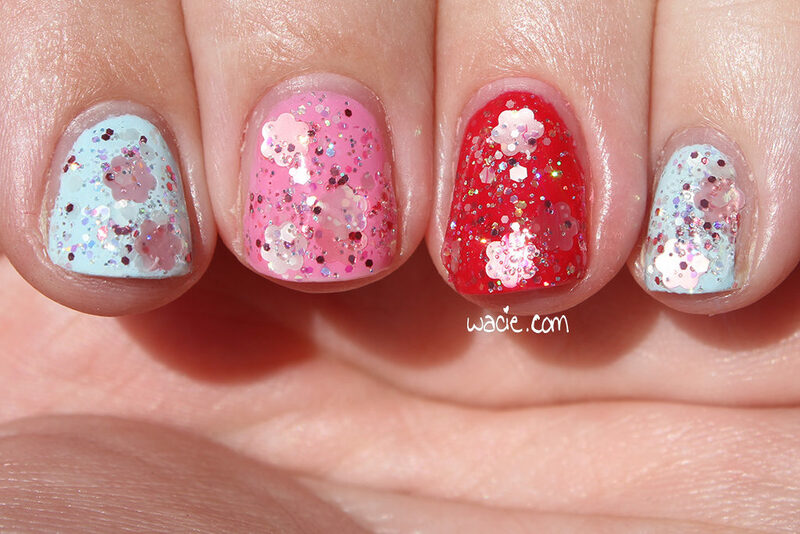 The flower glitters are always the focus of the look, and the other glitters don’t detract from it. 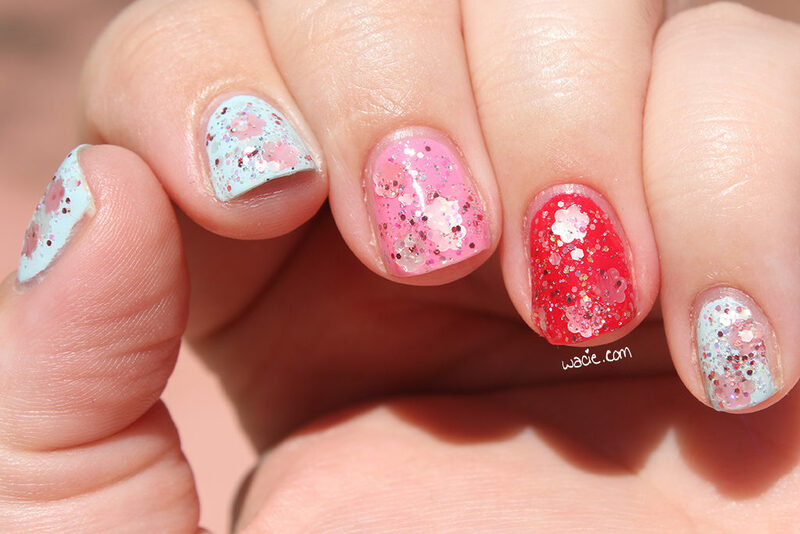 In the sun, you can see how the colors vary, and you can see the definition of the glitters best. You can also see how the glitter smudged the red polish. I actually didn’t notice this until I was processing these photos. The Rainbow Honey online shop is currently on hiatus, and I’m unsure whether Sakura Matsuri is still for sale.